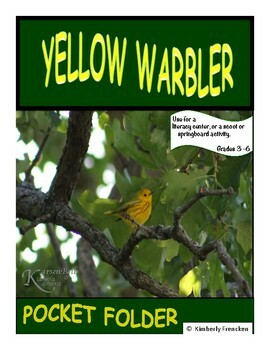 Students who are interested in nature will love this resource about the Yellow Warbler. 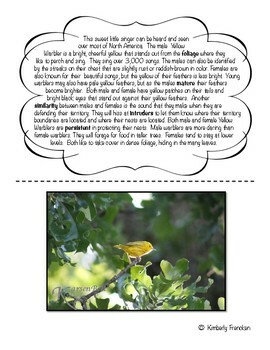 2 informational text passages are included in this 15 page resource describing nesting habits and comparing the male and female birds. 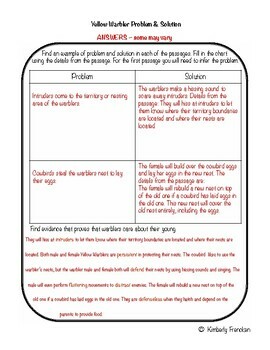 Also included are the cover page and answer keys for a problem and solution printable, as well as, printables for homonyms and comparisons. 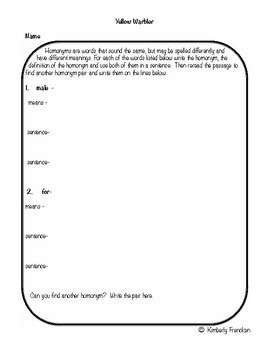 A how to use page and how to prepare page will give you everything you need to create a fun and engaging literacy center!